A couple of years ago I ordered a pack of Sun Print paper from an online UK craft supplier. It got lost in the house (yes I have too many craft supplies! ), but finally turned up this summer. Incase you are not familiar with Sun Print paper, it is paper that has a surface which is sensitive to ultra-violet light. To create an image, you place the paper on a flat surface, place an object on top that you want to create a silhouette of, expose the paper to sunlight, then you process the paper by submerging it in water. The colours will continue to develop after you remove the paper from the water. 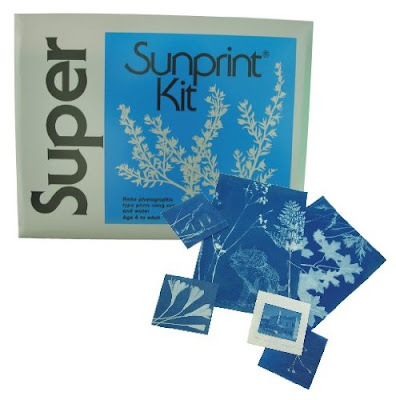 You can buy Sun Print paper from a number of companies, one of which is Sun Print. There are a number of other suppliers listed on Amazon. We waited for a bright sunny day. Firstly we gathered a whole range of items to use for silhouettes. The girls raided their rooms and craft supplies, and I picked a few things from the kitchen and around the house. This is what we found. This was an incredibly easy activity, and both girls had lots of fun. I think you could do this with almost any age child. 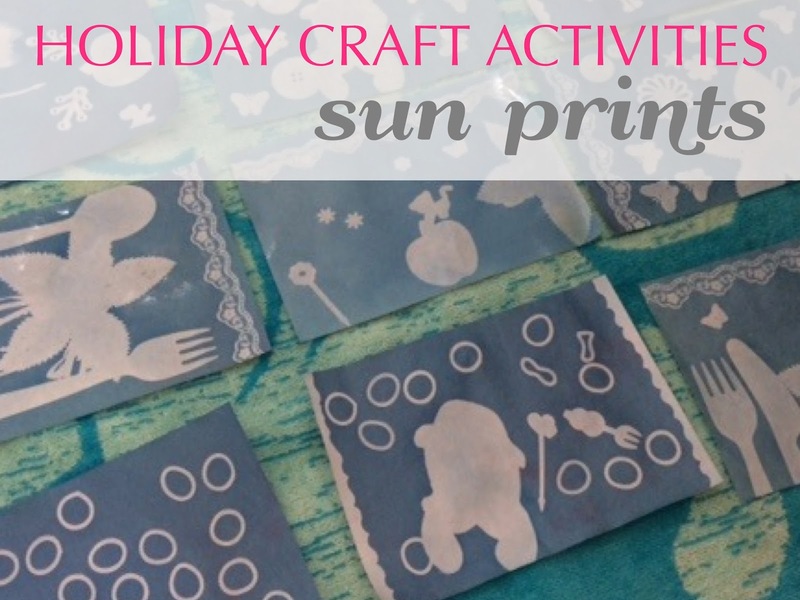 The Sun Prints website has lots of inspiration for older kids (or even adults), and want to make something a bit more artistic. Your prints turned out really great! So much fun, aren't they? Thanks. We really enjoyed making them.